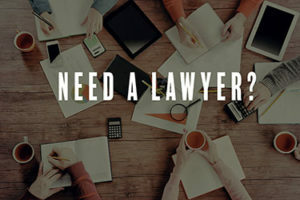 Hiring a reputable accident attorney is the most important move you can make to protect your rights after a collision. A good commercial vehicle accident lawyer knows how to build a persuasive case and can negotiate effectively on your behalf. A good lawyer should also know how to bring a lawsuit when settlement negotiations break down. If you have been injured in a wreck, follow these tips to find a great lawyer. Many people use a lawyer at some point in their life. Maybe you got divorced and hired a lawyer, or maybe you had someone write your will or defend you in a small criminal matter. Call up the lawyer and remind them of who you are. Then tell them you have been in an accident and need a personal injury attorney. The legal community in Denver and Colorado is very small so lawyers know each other. They should also know the reputations of other lawyers and can point you in the direction of a good one. Unfortunately, finding the name of a lawyer doesn’t tell you much about them. Are they young and inexperienced? Established with a long list of happy clients? Do they really practice personal injury law? Nevertheless, getting names is one way to start. After writing down the names, check out the lawyer’s website. Poke around and see what types of cases they take. Also look at how long they have been practicing. Have you handled automobile accidents before? What percentage of your practice involves these cases? Have you handled a case like mine? For example, if you were struck by a commercial truck, then the case will be different than if the driver of a passenger vehicle had struck you. How do you charge fees? You do you charge a “contingency fee” and, if so, how much? How do you like to communicate? Do you call or send emails? How long does it take for you to respond to a question I might have? Also listen closely to how the lawyer describes what will happen in your case. A sign of a good attorney is someone who can explain legal concepts in a simple manner. By contrast, if you feel scared of the lawyer, then he or she probably may not be a good fit. We are happy to meet with accident victims to discuss their cases and explain our philosophy. We treat every client like they are our most important one and attribute our record of success to this philosophy. Contact us today to schedule your free consultation.